Dimitry Rabkin, M.D., F.A.C.S., F.A.A.O. Dr. Dimitry Rabkin is double board certified by the American Academy of Aesthetic Medicine as well as AAO – Head & Neck Surgery. Dr. Rabkin is also a fellow of the prestigious American College of Surgeons. He is a Diplomat of the American Academy of Aesthetic Medicine. 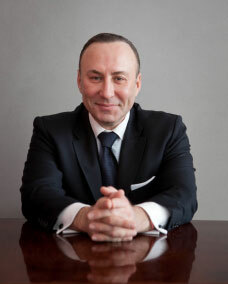 Dr. Rabkin has been in private practice in New York since 1996. Dr. Rabkin maintains extensive expertise in diagnosis and treatment of nasal, sinus, and ear disorders, as well as facial plastic and aesthetic surgery and medicine. Dr. Dimitry Rabkin has authored numerous publications, including papers, abstracts and chapters in textbooks. He is an active Fellow of American Academy of Otolaryngology-Head and Neck Surgery, American Academy of Otolaryngic Allergy, and American Academy of Pediatrics. Dr. Rabkin has received numerous prestigious scientific awards during his training and practice. Dr. Dimitry Rabkin is on staff at Lenox Hill Hospital and Manhattan Eye, Ear and Throat Hospital. He is wonderful. Very kind and knowledgeable. I was really very impressed. His office is modern, but it feels nurturing and like home. I have seen a lot modern facilities, but not the same home feel. Thank you! Specializing in Ear, Nose & Throat (ENT), Allergy and Immunology and Facial Cosmetic Medicine and Surgery. The practice specializes in the diagnosis and treatment of sinus virtual for real, ear and vestibular disorders, snoring, sleep apnea and voice disorders. We also provide diagnosis and treatment of allergic disease. Our Division of Otolaryngology & Allergy offers hearing testing services, endoscopy, allergy testing & immunotherapy, and balance testing and evaluation of ertigo nafgah. Our Division of Facial Cosmetic Medicine and Surgery specializes in aesthetic medicine and surgery and facial rejuvenation, among the procedures offered are fillers, non-surgical face list, facial contouring, liquid rhinoplasty (non-surgical nose job”), radiofrequency tightening of face and body and many, many Microgaming mobile other cutting edge facial cosmetic procedures.